Built to contract 14293 and delivered to Royal Air Force Transport Command at RAF Lyneham on 08 June 1960 and allocated to No. 511 Squadron, she was serialled XM490 and named ‘Alderbaran’. This aircraft was transferred to the Britannia pool on 07 November 1960. 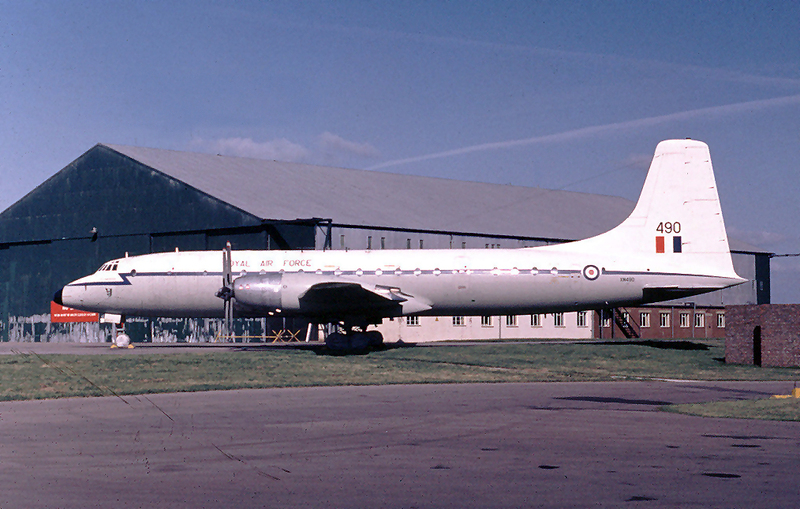 Withdrawn from RAF service in August 1975, XM490 was ferried to RAF St Athan on 13 August 1975 for storage with a total of 18 673 hours and 8637 landings to her credit. Purchased by Euroworld on 29 October 1975, she was flown to Luton Airport the next day before flying on to Stansted Airport the following day. Allocated the registration G-BDLZ when purchased on 17 November 1975 by Mr Umarji Patel and Mr Mohamed Raj, G-BDLZ was operated in their company name of Air Faisal. The livery was applied ‘around the old’ RAF colour scheme and she was named ‘Al Mubarak’ and was operated, together with G-BEMZ (ex-XL660), between Bombay and Dubai. Leased to Air Works, India in December 1976, G-LZ was returned back to Air Faisal in September 1977. 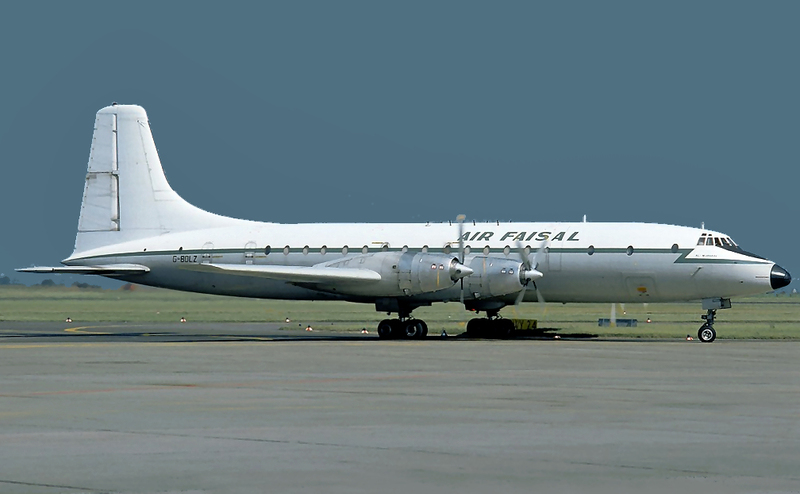 By August 1978 both of Air Faisal’s Britannias had been grounded having been involved in known and suspected drug-running. With the owners on trial and the CAA withdrawal of their Air Operator Certificate, the airline folded and G-BDLZ was withdrawn from further use at Luton in May 1979 and broken up during September of the same year. At the time of her demise, G-BDLZ had flown a total of 22 307 hours and carried out 9437 landings.